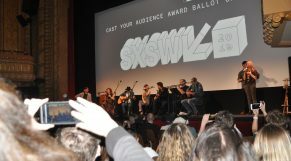 Amy Kurland, founder of the Bluebird Cafe in Nashville at the World Premiere of “Bluebird” at SXSW. (Photo by Connie Wilson). 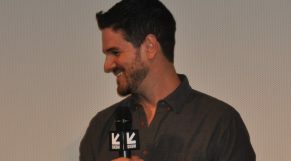 Director Brian Loschiavo at the World Premiere of the documentary “Bluebird” at SXSW on March 14, 2019. (Photo by Connie Wilson). 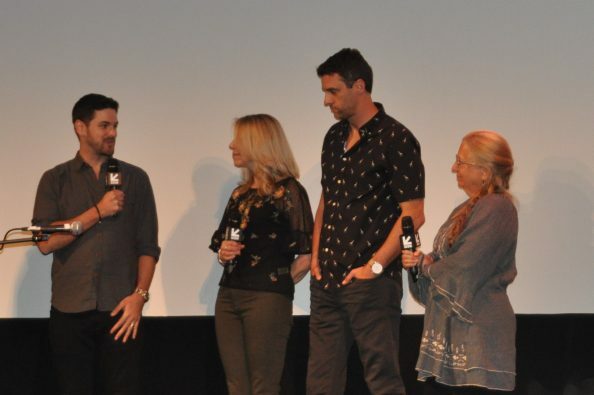 Director Brian Loschiavo of “Bluebird” (L), speaks with the new Manager (a former waitress at the Cafe), a sound engineer on the film, and founder Amy Kurland onstage at SXSW after the World Premiere of the 87-minute documentary “Bluebird” on March 14, 2019. (Photo by Connie Wilson). 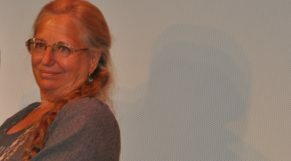 Founder and former owner Amy Kurland, who was present the night of the premiere, described herself as someone who grew up on Broadway musicals. 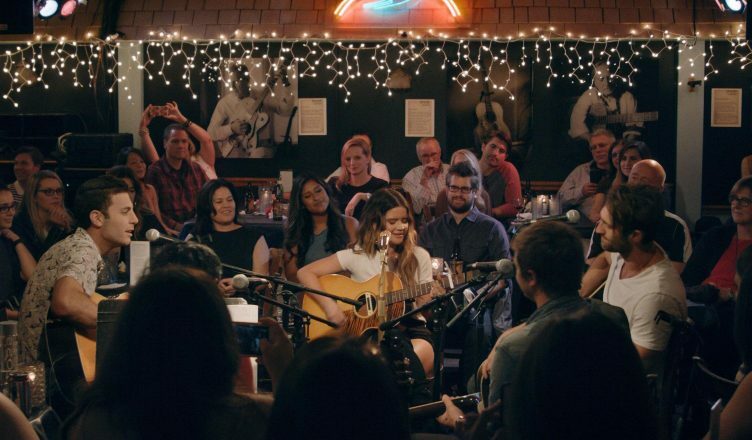 She was so dedicated to having the Bluebird remain a place for up-and-coming songwriters to potentially get their shot that she signed over the café to the NSAI Nashville Music Association to make sure that it remains a launching pad for talent. It was the success of the TV show “Nashville” that took the struggling café from break-even to making money. Now, large crowds gather outside and, while approximately one-third of the café’s revenue comes from merchandise sold, there are routinely 200 to 300 people in the parking lot seeking entry to the small 90-seat venue.